We are experiencing a heat wave in Seattle. It will hit 90 degrees today. Now, for much of the country, that isn’t so bad considering the crazy weather/heat elsewhere. But, in Seattle, where no one has air conditioning, it’s a thing. I’m holed up in my house today with all the drapes pulled, trying to keep the cold air in and the hot air out. So let’s talk about summer food! For me, summertime=grilling. 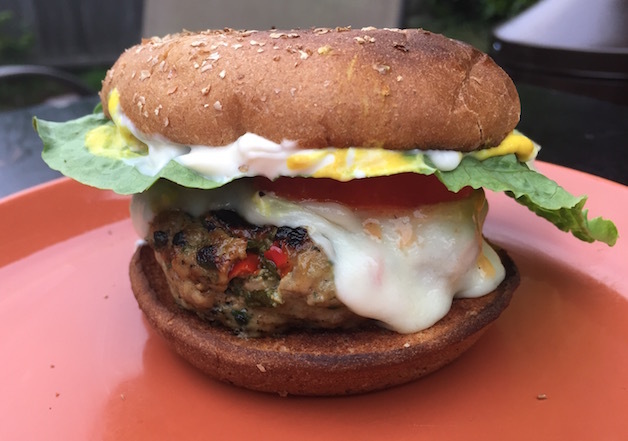 And, since I’m trying to focus on leaner meats lately, I have been exploring turkey burgers. 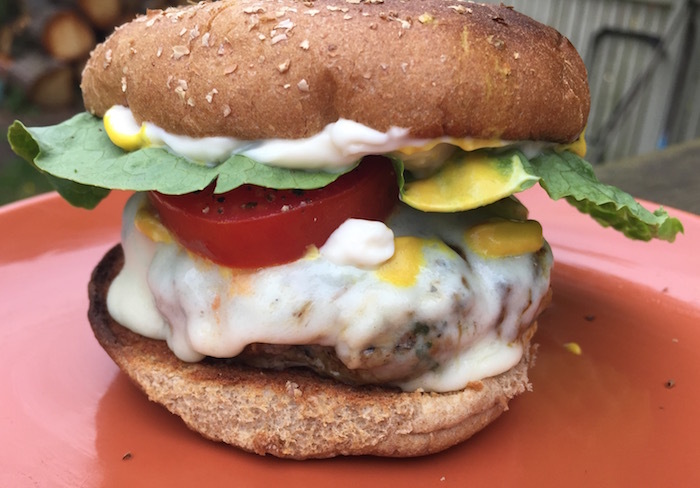 Turkey burgers tend to be kind of dry and boring. These are not. 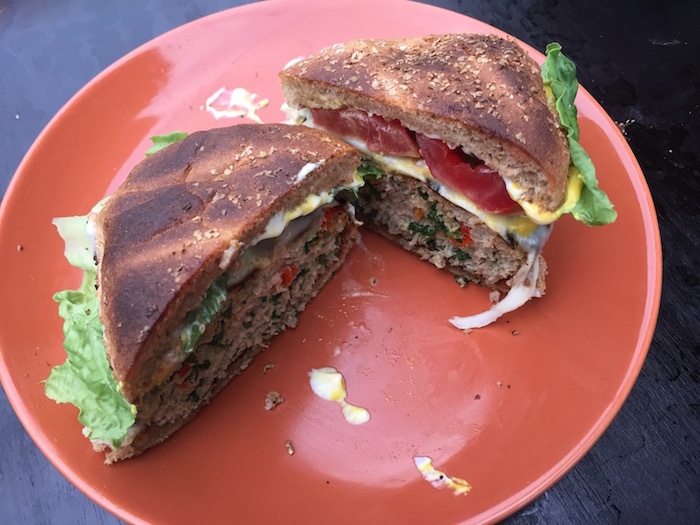 I’ve tried a couple of recipes and have come up with something that I think is just awesome. They are juicy and flavorful. I promise. First of all, I’ve got to share. I’m really into Mama Lil’s Goathorn peppers. I think that they make everything better. They are tangy, just a little spicy, and garlicky. I’ve bee putting them on pizzas, in pasta, on sandwiches, and now in my turkey burgers. You can find them at Whole foods, on Amazon, or through their website. If you can’t find them, or aren’t interested, just use roasted bell peppers, chopped up. The fresh spinach in the burger releases liquid when cooked, which helps keep the burger nice and juicy. You’ll love how these turn out. And if you throw them on a whole wheat bun, you’ve got a healthy, low fat, high fiber dinner that will satisfy those burger cravings. And it is super easy! Combine all ingredients, form into 3 patties. Grill until internal temperature reaches 165 degrees.